We have probably all had a moment, a small tug on our heart at the glimpse of a face not so different from our own, really: the face of a child longing to be seen. Maybe like so many of us, you’ve hesitated, too, at the thought. You’ve considered what it might be like to sponsor a child through our program, but it’s tough to put your finger on what still has you waiting for the right moment. Maybe it just seems like there’s a gaping hole between your experience and theirs and how will you relate? Or perhaps you’re just trying to figure out if it’s a cost you can afford. As our Sierra Leone school program (Hope Rising Academy) continues to grow into supporting the health, education, and wholistic care of so many children we’d like to encourage you with something we love seeing over and over. The most beautiful and simple motivating key to sponsorship is this: there is power in “you and me.” For you and for a child full of hope and potential, there is something incredible waiting on the other side of this new connection, a gift waiting to be unfolded layer by layer, unique to each relationship. This kind of thing changes lives, changes futures, and it is a connection we at Let Them LOL are excited to continue forging, encouraging, and growing as we see young lives bounding into their futures with newfound excitement. If any of this means something to you, we’d encourage you to go for it. The cost is $35 per month (around $1 per day) which provides a nutritious daily meal, access to healthcare, education fees, uniform, and supplies. 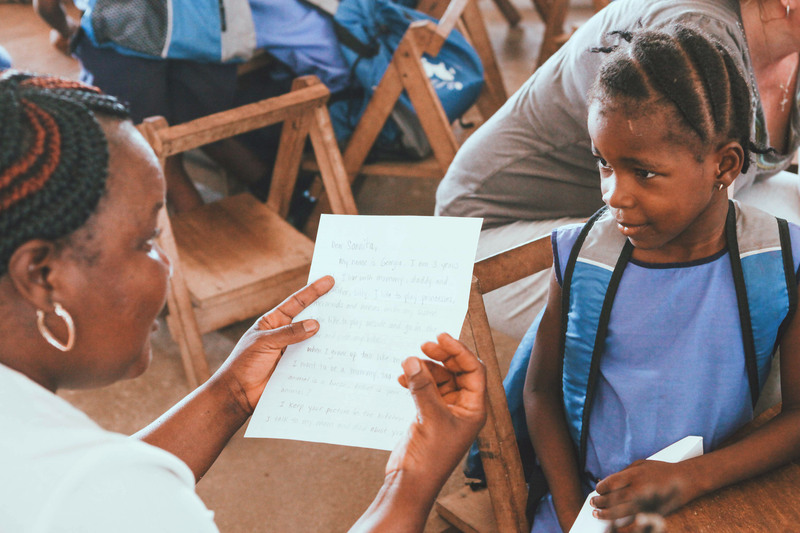 You will have multiple annual opportunities to write to and receive letters from your sponsored child, in addition to a Christmas gift shipment each year. In our experience, what’s waiting for you (both), is well worth it! We’ve got an entire wall of stories representing hearts and hopes and futures excited to connect with an advocate like you across the ocean. Come by our LTLOL Volunteer Center in Buffalo or click here to sign up to begin your sponsor relationship today! When Can I Contact My Sponsor Child? 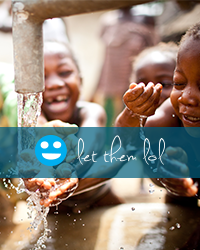 We exist to empower communities through wholistic sustainable development.